Apart from single test series (randomized controlled trials) Qigong research mainly consists of meta-studies and reviews. This text deals with their function and their typical findings. Contrary to what its name may indicate, meta-studies are not per se “better” studies than trial studies. The method behind meta-studies is to search data bases and to put the data into new statistical contexts. Meta-studies typically skim through a great number of single studies, often by means of computer-based automatized data base research (search for key words in a set of chosen catalogues). In a second step, some of the studies found in this search are chosen along certain criteria to process the data contained therein further. First of all, this procedure is a relatively cheap method to access data already collected in other projects and to analyze it under a different viewpoint. As a method to establish the actual state of research in a field, meta-studies are part of the routine preparation for the planning of a new research project – along with a structured reading of relevant literature (“review”). Reviews focus on evaluation and interpretation of previous research projects. They aim at providing a systematic overview of the findings. Different studies are read and the results are summarized. Depending on the scope of the review, the studies which are included might e.g. stem from a defined set of research journals or the review might deal with diverse articles published within a limited period of time. The ideal review would then proceed to critically assess the studies and their significance and contrast them against one another. A poor review would just consist of a list of studies marked as “relevant” and their findings, accompanied by an introduction, which underlines the general significance of the targeted field of study. Compared to trial studies and meta-studies with their experimental resp. statistical method, reviews offer a much greater space for individual interpretation and transportation of ideas independent of actual evidence. – By visibly establishing the existence of a multitude of studies, a new field of research can be created; researchers and projects in the field of Qigong research are linked, networks may begin to evolve. – Research focusing on overview and comparison can establish a need for further, deeper studies; this might be useful for future applications for research grants in the field of Qigong study. – In the age of globalization, reviews also inform researchers and interested practitioners. They also provide an overview over the research community which slowly grows together on a global scale, bringing the language gap. However, one has to stress that these kinds of research reports and computer-based comparisons do not Reprisen research in a narrow sense, i.e. they do not contain any independent results. 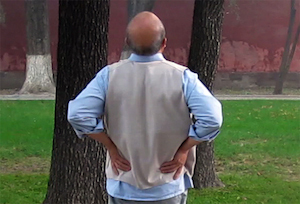 A meta-study which draws upon different studies about Qigong, will inevitably throw together single trial studies working with different Qigong sets and diverse trial set ups under differing circumstances with the aim to derive general conclusions. This may be valuable if one wants to decide about the direction of future research, but – due to its structure – will not produce new reliable evidence. At the most, new perspectives may emerge, which remain to be tested. An example: data concerning blood pressure, which was routinely recorded during different single trial set ups, is put into a new context with the aim to prepare a new research hypothesis concerning Qigong and blood pressure reduction. By using and comparing data which was a by-product in the original study it is made the centre of attention, although the original study was not aimed at gathering this data and monitoring its changes. – This is a methodological problem, which weakens the significance of the statistical results. A final confirmation can only be produced by means of a new study which works with uniform Qigong sets and specifically looks at the parameter in question. 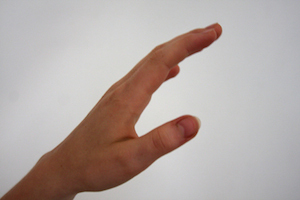 there are many trial studies concerning Qigong. the available data concerning the targeted parameters for comparison is few and far between (few relevant studies, low quality of studies, few participants in studies, short duration of trial period). further studies – especially studies with a longer duration of the trial period – are indispensable to establish sound evidence. Same as with randomized trial studies, it is dishonest to deduce proven efficiency of Qigong for a certain illness just because it is mentioned in the title of the meta-study (or even the review). The existence of these meta-studies is merely a proof for a research interest in this direction. long term studies, i.e. studies that run over an extended period of time (thereby providing uniform data). reliable studies, i.e. studies that meet higher quality standards. These types of study are hard to realize, because they involve high costs for planning, execution and evaluation compared to the types of study presented above.